At Vive we are super passionate about all things certified organic including our favourite beverage, that’s right WINE! The organic wine industry is on the rise, with new winemakers gearing towards organic & bio-dynamic practices all the time. With the addition of consumer awareness & demand for cleaner & more natural wines, the wine industry can do nothing but supply the goods. Lucky us!! 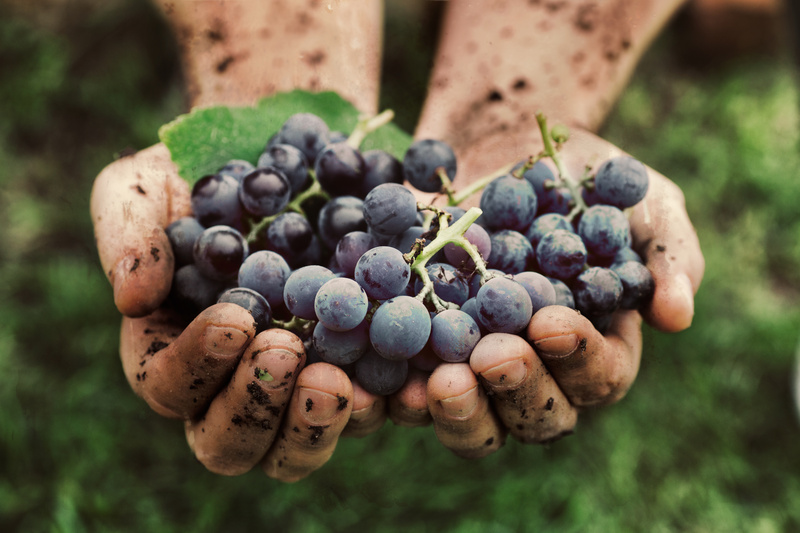 What defines an Organic Wine? Many people get confused about organic wines & understandably, especially when preservatives are in question. How can a wine be called ‘Certified Organic’ if it contains added preservatives? Well….great question, it’s actually quiet simple. calcium chloride is permitted in mainly canned & non-perishable goods….just to name a few, there are many many more. Well, organic wine & viticulture is no different. The addition of sulphur dioxide (220) & potassium meta-bisulphite (224) are permitted according to organic & biodynamic certification regulations. To be classified as Certified Organic, regulations do permit additional sulphur dioxide to be added through-out the wine making process (harvest, fermentation & bottling), however the amounts allowed are much more stringent than for conventional wines. In fact, in Australia organic wine is permitted to have up to 150 ppm of sulphur dioxides or rather collectively known as sulphites , whereas conventional wine can have up to 300 ppm, so half the amount. ‘Preservative Free’ on the other hand must not contain any added sulphur dioxide & no more 10 ppm of sulphite. As sulphite is naturally produced during the wine-making process. some sulphite present is unavoidable. Other than that organic wine production still follows the exact same production guidelines as other organic produce, as no synthetic pesticides or fertilisers are to be used during the growing, harvest or production stages. The wine is to be tampered with as little as possible! Fun Fact: Organic Wines in the United States are not permitted to contain extra sulphur dioxide, only the minimal amount which is produced naturally during fermentation is allowed. What do I need to know about Sulphur Dioxide? Sulphur dioxide (SO2), it sounds far scarier than it is, promise! In fact, it’s actually a natural (& very necessary) part of the wine-making process, as it’s a by-product of fermentation. Meaning regardless of whether the wine is organic or not it will contain some amount of sulfur dioxides. It’s the added stuff that can be problematic or cause of confusion for many people. Extra SO2 is added to the wine as it acts as an potent antioxidant & antibacterial, significantly increases the shelf-life of the wine. Unfortunately for many it’s the cause of some seriously uncomfortable symptoms, as sulphite sensitivity may cause allergy like symptoms including hay-fever & sinusitis, urticaria (hives) & sometimes wheezing/asthma-like symptoms. We will discuss this in further detail in our next article. Our ever expanding Wine collection Vive! 224 – Potassium metabisulphite – when dissolved in water actually makes sulphur dioxide, bisulphite & sulphite. Each of these is able to bond with free oxygen floating around in wine. When this happens the free oxygen is no longer available to be consumed by micro-organism, improving the preservation of the wine. Unfortunately however there is no way to tell exactly how much has been added to the wine. If you are indeed sulphite sensitive always stick to wines labelled ‘preservative free’ to be in the clear & sniffle free. Hopefully this helps clear some confusion about certificate organic & preservative free wines. As always feel free to talk to our friendly staff in store if you have any questions or concerns or simply need a good recommendation. 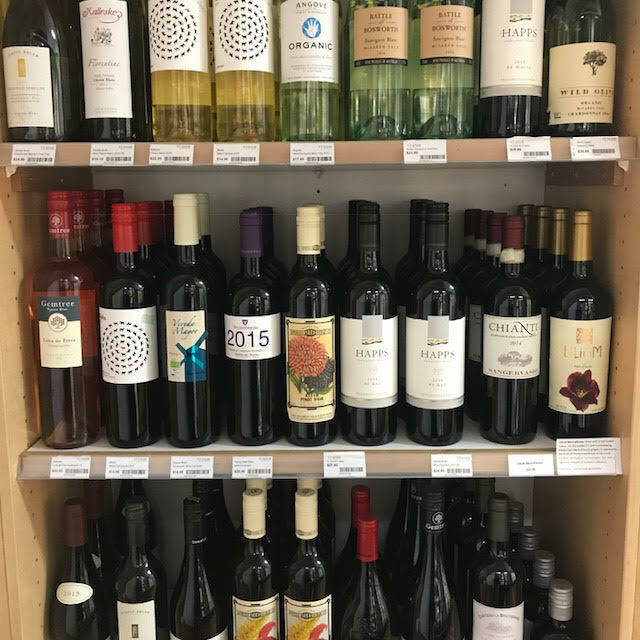 Next time your in at Vive be sure to check out our extensive collection of Certified & Biodynamic Wines from all around the world including Australia, Italy & France. We would love to know which one is your favourite! Look our for our next article explaining how & why you may be reacting to your favourite drop and guess what, it actually might have nothing to with sulphites! Permitted substances/additives in organic foods & beverage | National Standard for Organic & Bio-dynamic Produce (Aus Gov). This entry was posted in Eco & Healthy Lifestyle, Vive Health Nutrition and tagged biodynamic wine, certified organic wine, Organic Wine, preservative free wine, sulphite sensitivity, sulphites in wine, sulphur dioxide, vive health wine. Bookmark the permalink.